Various car makers have already started with first series projects implementing this latest MOST Technology. 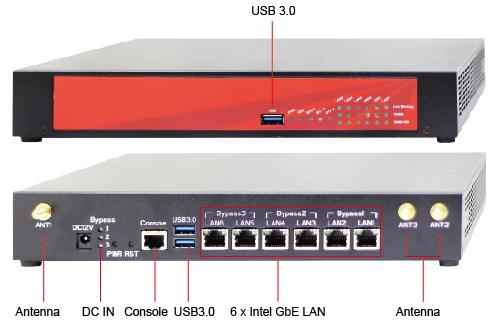 In-Vehicle computers enables the use of a higher bandwidth of 150 Mbps, an isochronous transport mechanism to support extensive video applications, and an embedded Ethernet channel for efficient transport of IP-based packet data. It succeeds in providing significant speed enhancements and breakthroughs while keeping costs down. The MOST Cooperation – the organization through which the leading automotive multimedia network Media Oriented Systems Transport (MOST) is standardized – proudly announces that the newest Specification Rev. 3.0 is on its way to production. In-Vehicle computers and the new Intelligent Network Interface Controller (INIC) architecture complies with Specification Rev. 3.0 and expands the audio/video capability for next generation automotive infotainment devices such as Head Units, Rear Seat Entertainment, Amplifiers, TV-Tuners and Video Displays. 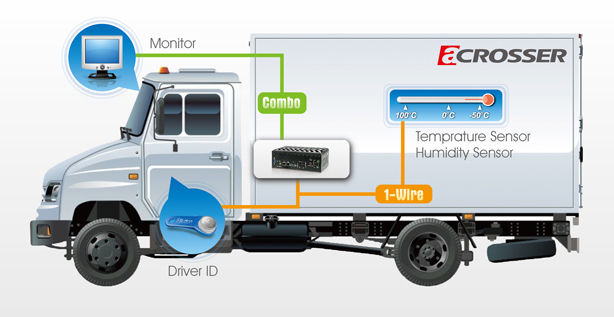 Acrosser Technology, the leading industrial computer manufacturer, has successfully integrated significant features into their In-Vehicle Computer series products. These features include i-Button 1- wire interface, combo connector and remote power control switch. Driver identification, temperature sensors, NVRAM, digital I/O and analog input are quite often used on vehicle and M2M applications. 1-Wire is a device communications bus system designed by Dallas Semiconductor Corp. that provides low-speed data, signaling, and power over a single signal. Thanks to the integration of 1-wire interface into Acrosser In-Vehicle Computers, so system integrators now can use one simple interface to connect variety devices which are often utilized in telematics applications. Beside the hardware interface, Acrosser also provide software API to write and read data to and from any kind of 1-wire devices. Signals between a vehicle computer and a touch monitors include VGA, USB, audio and power supply of touch monitor. With a normal design, 4 cables are required. The all-in-one combo connector integrates all of these signals into one single cable. This significantly simplified the routing of the harness. Acrosser’s new in-vehicle computers and in-vehicle touch monitors are all featured with this advanced design. All Acrosser’s In-Vehicle Computers are featured with a remote power control switch beside the power control by ignition switch. When this switch is installed and enabled by software, the switch works together with the ignition switch to control the power on/off of the computer. This has enabled the driver be able to turn off the computer without turning off the ignition. This feature is very useful in some application scenarios. Visit Acrosser in Vehicle Computer solution and product web pages to know more information.